Galloway Township has recently been informed by Comcast that G-TV will be moved from cable channel 2 to cable channel 97 on February 27. In accordance with FCC regulations, Comcast is required to add a new broadcast channel, KJWP-2 of Wilmington, DE, to its channel lineups in the Philadelphia broadcast market, which includes Atlantic County. G-TV will remain on Comcast’s basic video tier and will be distributed to all Comcast customers who currently enjoy G-TV on channel 2. All Township Council, Planning and Zoning Board meetings can be viewed live on channel 97 starting February 27, 2014, and the bulletin board will also continue to run on G-TV 97. Bulletin board announcements can still be sent to bfiedler@gtnj.org or faxed to (609) 652-1725. What happened to the Weather Channel? This AM all I get is KJWP. I don't want that on channel 2............ Please give me back my Weather Channel. 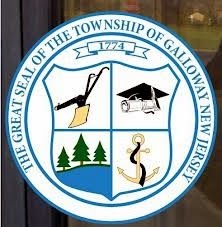 I live in Wilmington, DE and don't care what happens in Galloway township NJ.